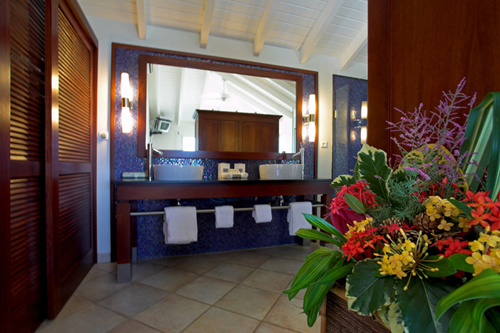 Sleek lines, mosaic tiles, contemporary fixtures, create the bath vanity. Water closet behind louver doors. Walk in shower to the right of vanity.